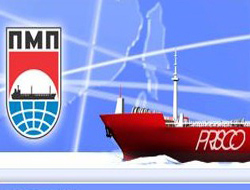 South Korean shipbuilder Hyundai Heavy Industries has started building an ice-class tanker with deadweight of 104,000 metric tons for the Primorsk Shipping Corporation (PRISCO), the Russian company said on Monday according to RIA Novosti. The vessel is the last of a group of six giant tankers to be built for PRISCO by the Korean firm, the world's largest shipbuilder. The Russian firm is based in the Far East port city of Vladivostok. The tanker will be ready for use in June 2009 alongside two previously manufactured ships of the series, now in service delivering crude oil and oil products to Pacific Rim countries. PRISCO currently has 19 tankers with aggregate deadweight of around 1.3 mln tons. By 2010, the company plans to double the figure.